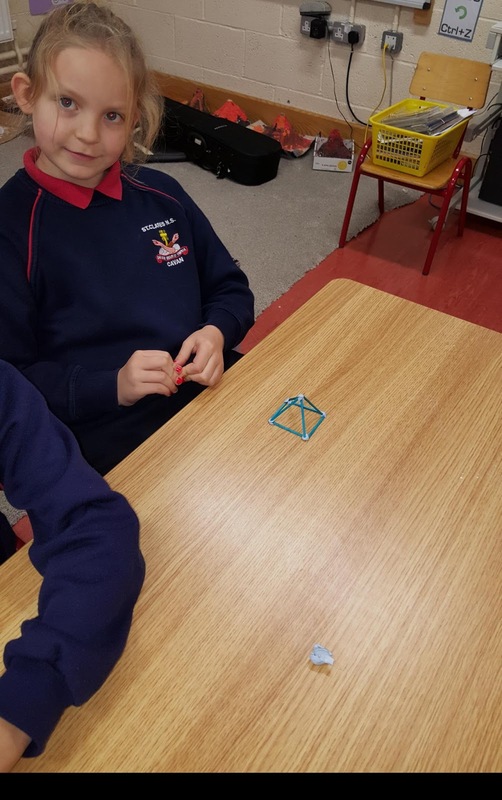 Today we revised the names and properties of 3d shapes. 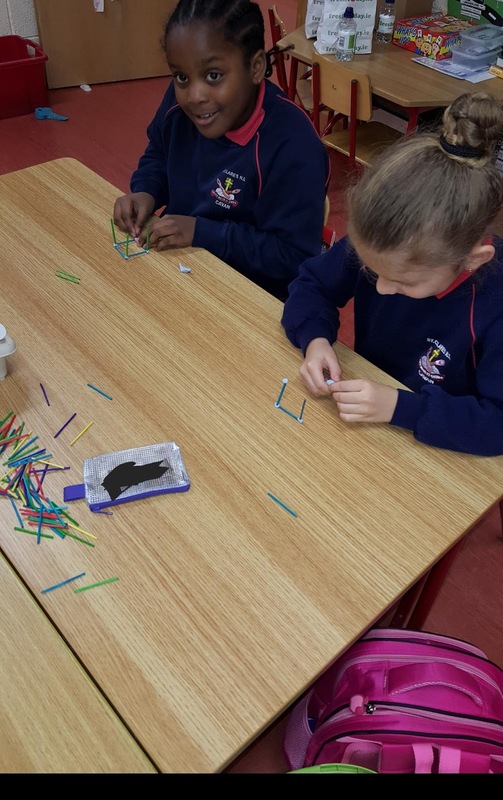 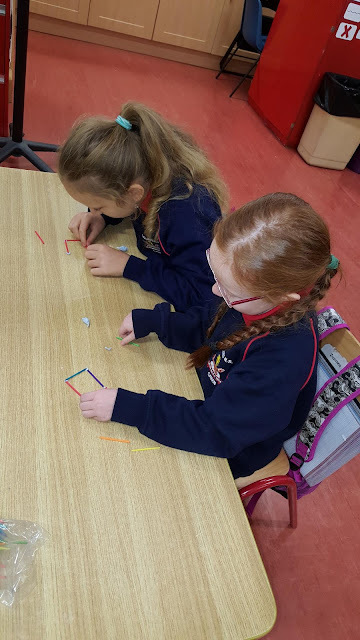 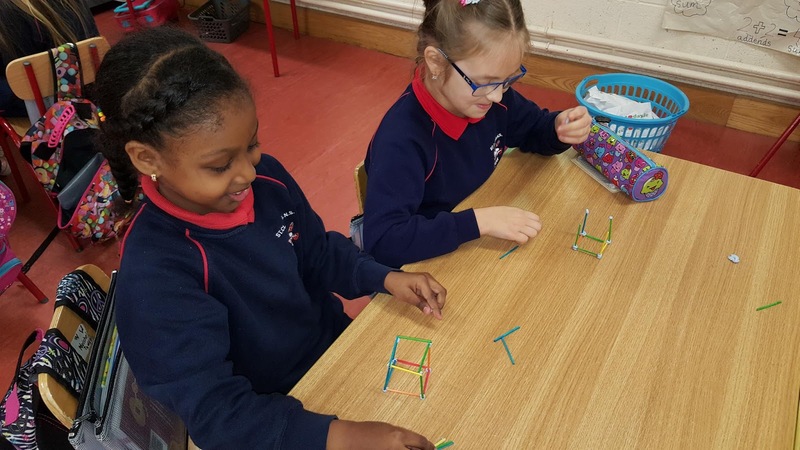 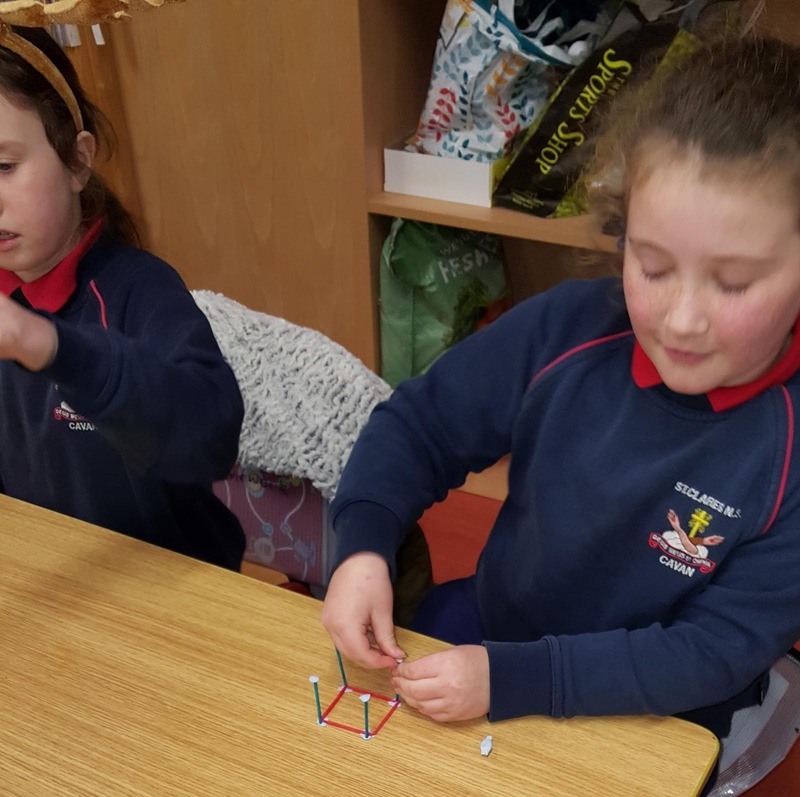 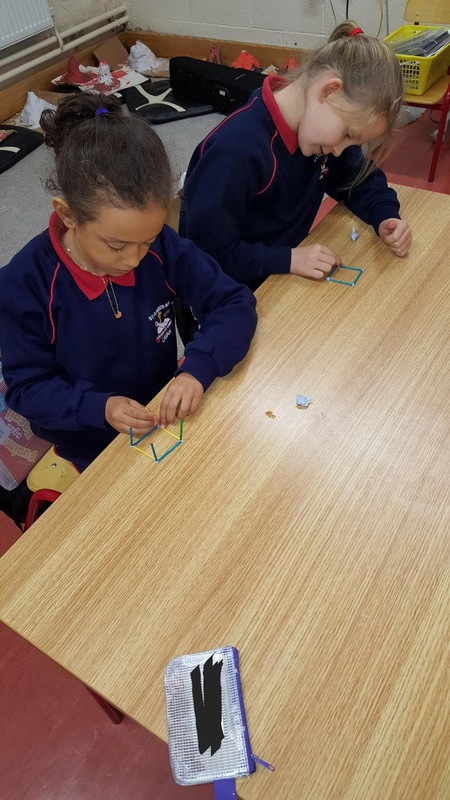 We tried to make some 3d shapes using match sticks. 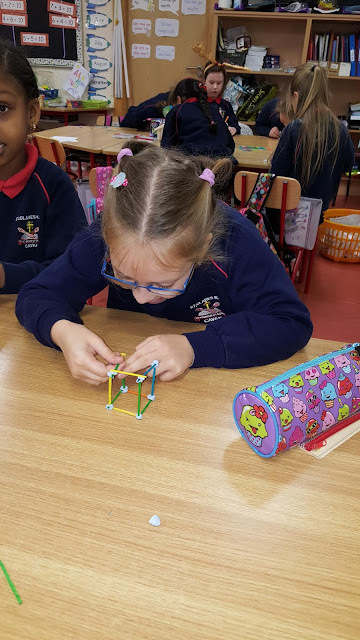 It's quite tricky to keep the shapes together but we did our best!